Big data is increasingly becoming a tool for brands to improve engagement with customers. At digital charity portal, JustGiving, it’s also helping to personalise and socialise the experience of giving. JustGiving launched 14 years ago as a digital platform for end users to connect with charities and fundraising, and for fundraisers to better reach potential donors. With vast initial ambitions but limited investment funds, its first steps were driving peer-to-peer funding by assisting individuals and organisations to fundraise for events. The site allowed fundraisers to create a page online, provide their story, and was back by a financial processing engine. Since then, and as digital social interaction has grown, JustGiving has expanded into the world’s largest social platform for giving, with 10 million registered users and 24 million individual interactions raising $2.5 billion to date. This year, 1 million fundraising pages were created through the platform across 164 countries. JustGiving has also partnered with more than 12,000 charity clients. 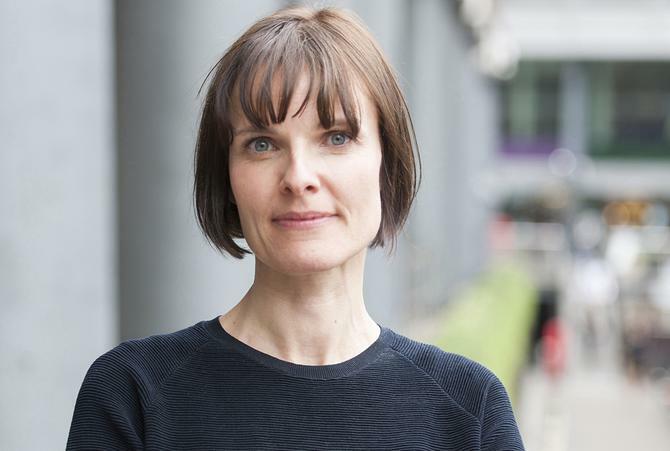 “Over time, we wanted to become good at understanding what motivates people, what causes exist in the world, and then classifying these to make giving easier,” JustGiving co-founder and managing director, Anne-Marie Huby, told CMO. One of the cornerstones of JustGiving’s ongoing success is its investment into leading-edge technology platforms. Over the past three years, the organisation has reinvested and rebuilt the way it handles data, introducing new infrastructure and database technologies from Amazon and Microsoft Azure, plus Neo4J’s native graph database, in order to tap into big data and drive more personalised engagement with its users. The JustGiving platform is also heavily integrated with Facebook, not only optimising how users share information about giving but also adopting Facebook as an authentication mechanism. Huby said about one-third of users log in this way today. In a recent case study, the organisation stated that it had raised $100m in donations to causes in one year as a result of its Facebook reach, as well as driven 905 million stories to Facebook, benefitting 10,000 causes and helping raise an extra $10,000 per cause on average. At every step of the way, Huby said the focus has been on measuring commercial impact. She claimed JustGiving was one of the few companies that can articulate the value of a share on Facebook (one share is worth about $9). “Facebook opens up far more opportunity to understand our customers better,” she continued. “It solve a number of problems for us. One is the cold start on the site: Because people can sign in with Facebook, it means their first visit when their friends bring them into the ecosystem is a more relevant experience. Then the Facebook data we’re able to access in that fashion enables us to enrich the experience on JustGiving enormously. It’s the data from Facebook, along with 14 years of transactional history and member data, that has provided the foundations for JustGiving’s big data strategy and its ability to offer more personalised and relevant features. In October, the company launched its new social JustGiving offering, providing registered users with personalised news feeds and social notifications about what their friends are doing. The capabilities are powered by the company’s GiveGraph, a data engine that generates behavioural insights using information on 70 million people, 285 million connections, Facebook’s Open Graph, and JustGiving’s 14 years’ worth of transaction data. The GiveGraph was first unveiled earlier in 2014 and is an algorithmic representation of its data as nodes and edges which views each registered users as a reflection of associations and connections. Huby said social JustGiving is the first area of true personalisation for the platform and also provides a “surprise and delight” element to the act of giving. “From talking to people constantly, we know that what users love to see is what their friends are doing,” she explained. “Previously, registered users would see content everyone saw on the site such as trending items. It was a one-size-fits-all approach. Then your personal account was a rather dry record of your activities in donating and fundraising. “Now on my personalised homepage, I can zoom in to start fundraising again, or see what I’ve done recently, but importantly, there are also a series of stories to help discover new things. These are things people in my JustGiving and Facebook networks are doing. With the Facebook connection, I can see people who I have sponsored in the past and who have sponsored me, and then people in my network on Facebook who also are doing things on JustGiving. That’s often where the surprises occur. [[artnid: 529936|Related: Big data analytics: The new black magic of marketing? Huby said JustGiving is also looking to give charities and fundraisers even more ability to grow reach and deeper engagements with donors. She pointed out there are ready-made communities of interests, such as corporates, who come together to do things for a charity or number of causes. “We think it’s a valuable opportunity to not just do these activities then forget about them, but to showcase them, celebrate them and make them public,” she said. “With every industry going into a much more open, public and social direction culturally, giving should be the same. JustGiving is also using data from its GiveGraph to enhance the capabilities of the site. For example, it now includes ‘smart targets’ based on data and algorithms that forecast what fundraising targets individuals should hit as a result of their efforts. The next focus is upgrading the user interface to deliver increased access to GiveGraph intelligence. In addition, Huby said JustGiving is working with behavioural scientists to look at what makes activities interesting. “We will work over time to keep this engaging because it’s got to be interesting,” she said. “What we are trying to do is service both sides of the market place or ecosystem. The first evolution of the product, powered by more powerful graph data, is enriching the experience at the end-user level. But what we’ll also begin to do on the charity side, is let them know what’s happening to their brand, how many people they are reaching and how they extend their reach. One way JustGiving hopes to drive this is through its social ‘care’ button which launched in July. The button allows a user to show their support for a cause on any charity profile participating in the digital platform. “Over time, that care button will become a valuable way at the end-user level to personalise their feed more, while on the charity side, the more they compel people to care for them, the greater chance of being served up and being heard about,” Huby said. She agreed JustGiving’s approach was inspired by other social platforms but claimed the organisation is at the leading edge in terms of applying technology to consumer engagement. “In some cases, we have had vendors working with us at an engineering level to enable us to do what we wanted to do,” Huby said.